Observing Michael Nesmith during a high-stakes meeting at Amazon is like watching a symphony in motion. While his artfully tattooed arms and hands deliver his message through American Sign Language (ASL), an interpreter across the table speaks out loud for Nesmith, translating his signs to the spoken word. At the same time, a second Amazon interpreter signs back to Nesmith — telling him what others in the room are saying — including side comments and chitchat that a hearing person would pick up just by sitting there. Although Nesmith is Deaf, he doesn’t miss a thing. “Being Deaf is my superpower, and it's also my kryptonite,” said Nesmith, an art director at Amazon who has been unable to hear since he was a child, and was raised by Deaf parents. The superpower part of the equation, he said, is that his visual senses are heightened. That’s helped drive his career as a designer and art director, where he storyboards campaigns by sketching them out, and oversees the photography of product launches and marketing for some of Amazon’s most cutting-edge devices. It's really nice because my team understands my personality better, and that’s one thing I really value about this experience with the Amazon interpreters program. Enter Jennifer Mathern, one of a growing number of full-time Amazon interpreters. 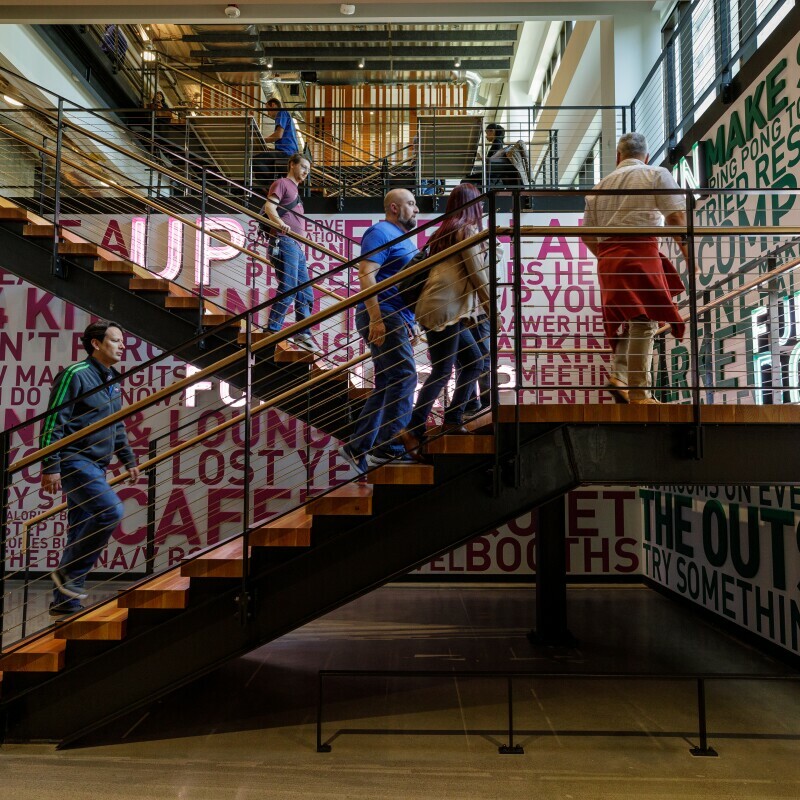 “Deaf people are constantly adjusting how they interact with the world to get what they need and what they want,” said Mathern, who points out that Amazon has taken a leadership role in being inclusive for all, including those who are Deaf. 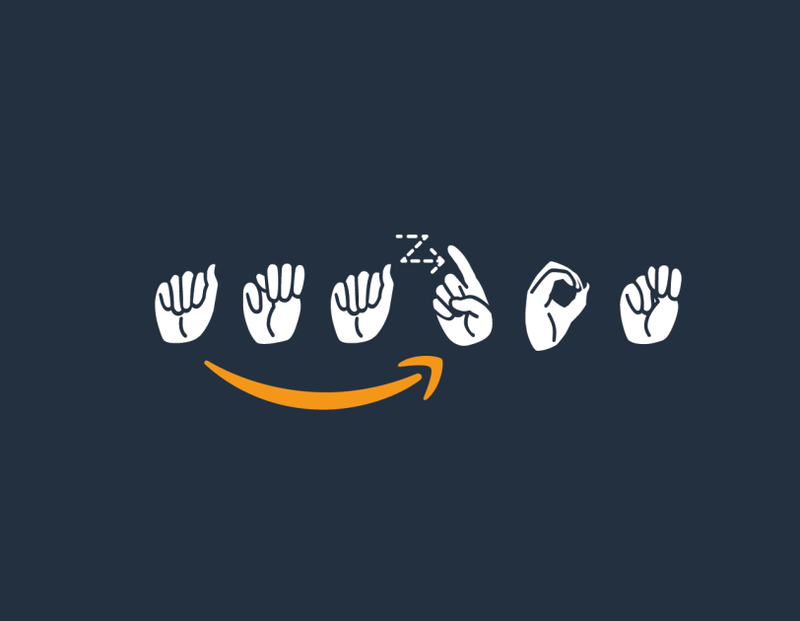 Amazon’s ASL Interpreter Program provides interpreters to Deaf employees based on their individual needs. For Nesmith’s role, he currently has one or two interpreters at a time working with his team. While he always has one interpreter seated at a desk next to him, called his “anchor interpreter,” additional interpreters join for meetings. The idea is to keep up on the latest Amazon acronyms, products, and code names that must be literally created in ASL because there is no comparable sign for them. A consistent team of full-time interpreters means that any one of them can come and go, but the workflow remains seamless for employees like Nesmith who just wants to get down to business. There’s another advantage with having an anchor interpreter — they find ways to translate an individual’s personality. Mathern adds that interpreters are a part of the team — even on confidential projects. At Amazon, he says the interpreters have allowed him to do some of the best work of his career because he’s only focused on being creative and feels like he’s on a level playing field. Michael Nesmith is an art director at Amazon. 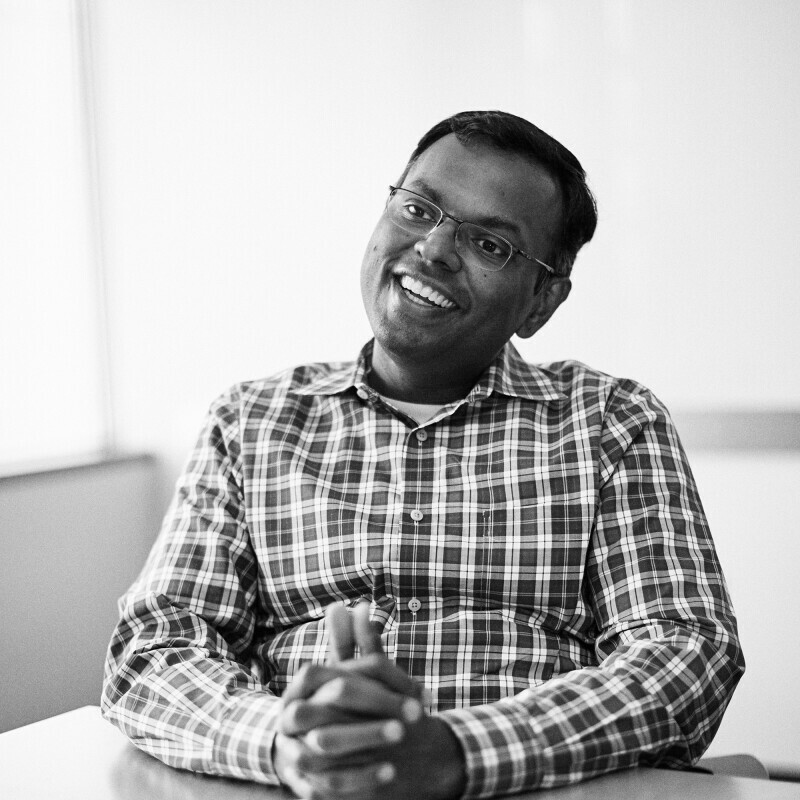 Amazonian Swami Sivasubramanian shares his first memory of a computer, how he stays focused on customer needs, and how a case of jetlag led to him coming up with the idea for one of Amazon's most significant innovations.